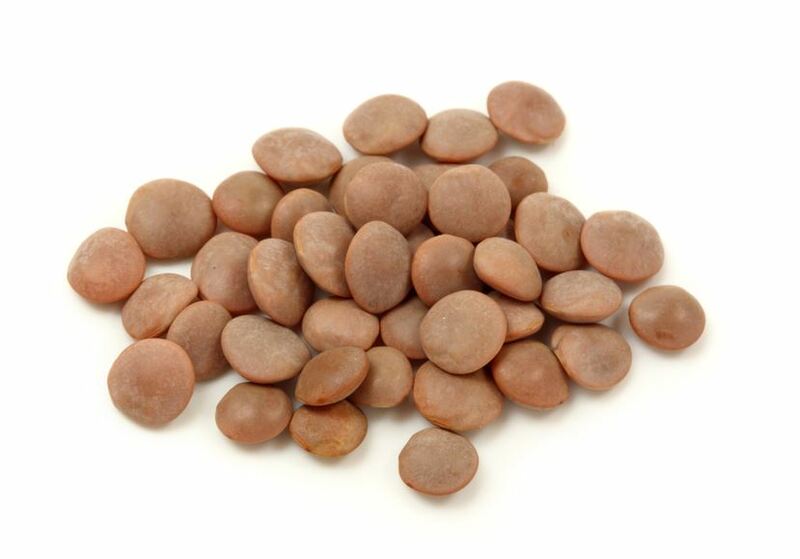 Lentils belong to the family of pulses and are native to the Mediterranean area and Asia Minor. Lentils are used for patties and stews, in Swabia they are very popular as side dish for spaetzle and all over Germany as soup or stew. Lentils were a basic food in ancient Egypt, but today they are grown mainly in Spain, Russia, Chile, the USA and the Near East. The plant, up to 50 cm high, bears pulses of approx. 15 mm that contain seeds, the edible lentils. There are different kinds of lentils, e.g. red, yellow, brown, green, mountain and Dupuy lentils. Compared to other pulses, they are relatively small and require less cooking time. Lentils also contain more protein than other pulses, and they are easier to digest than e.g. Peas and beans. Furthermore, lentils contain much vitamin A, B1, B2, and niacin, as well as large amounts of mineral nutrients such as sodium, potassium, phosphorus, and iron. Also remarkable is the high zinc content and the valuable amino acid combination in lentils.